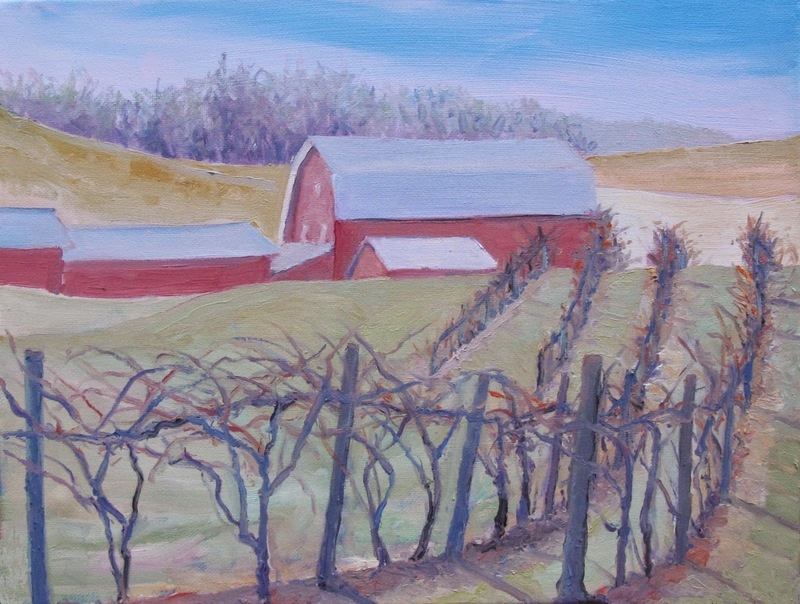 Great time painting at Rockbridge Vineyards today with eight of us showing up along with a sunny day. 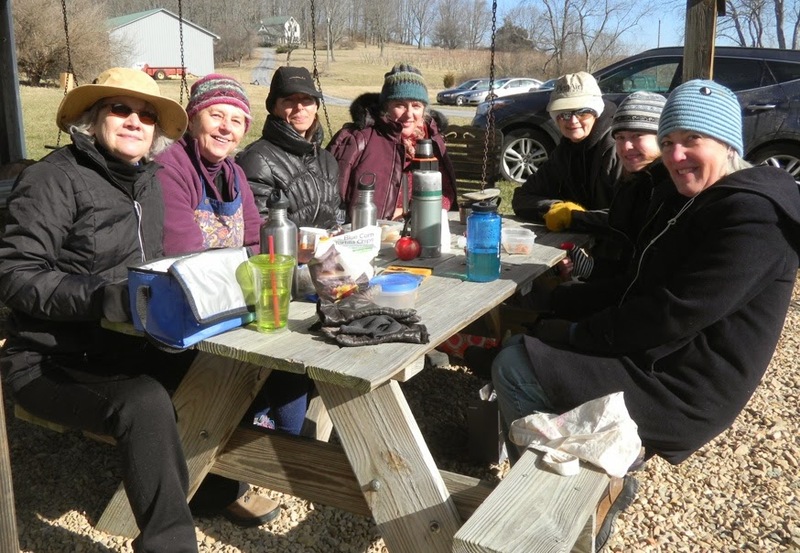 Lunch time with Jean Marie, Barbara, Elizabeth, Julie, Ida, Noaa, Jenny and I. We do plan to go back, not sure when, thanks to all for coming out! Got Views? . . . If you have a view that you would like me to see and paint, let me know. I am open to going to your location, email me and we can talk! Meg West went to Philadelphia College of Art, majored in Graphic Design, and minored in Painting. After working for several years as a graphic designer, in 2000, she started painting again full time. 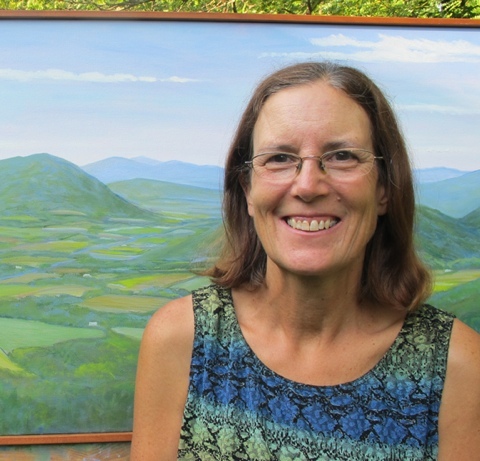 West paints as a localist, focusing her painting in Albemarle and surrounding Counties, as well as Skyline Drive and The Blue Ridge Parkway. Meg paints every day and enjoys the rhythm and momentum that comes with a steady flow of painting. 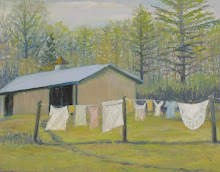 The act of painting is what is important-enjoying the feeling of being connected to the environment, herself and the painting. Crozet Pond on Half Mile Branch Rd. 30 Paintings in 30 Days Challenge!